If you have any questions, concerns, or would like to schedule an appointment, please contact us using the information provided below. As a periodontal specialist, we always welcome patient referrals from other dental professionals. 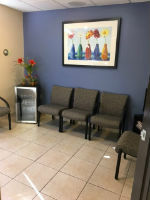 Please feel free to use our online referral form or our tradtional patient referral form for any patients you might like to refer to our office.